Slack is a team messaging system that enables enterprise teams to communicate across a series of dedicated project or department channels via messaging and calls. Go to the Slack Button documentation and scroll down to the Register your Slack app section. 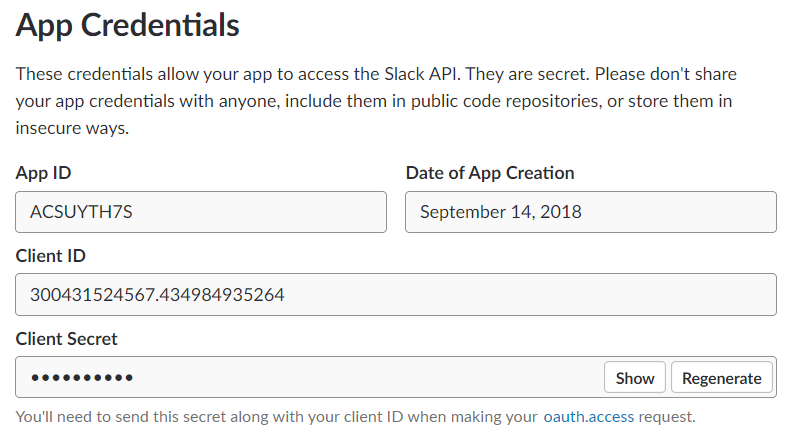 Click Create your Slack app. In the App Name field, enter an app name. 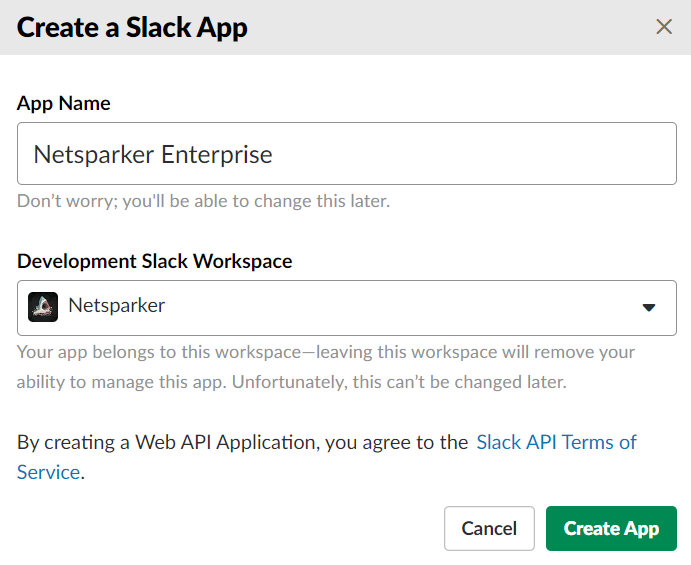 In Netsparker Enterprise, from the main menu, click Integrations then, New Integration. In the same window, copy your Slack Redirect URL. 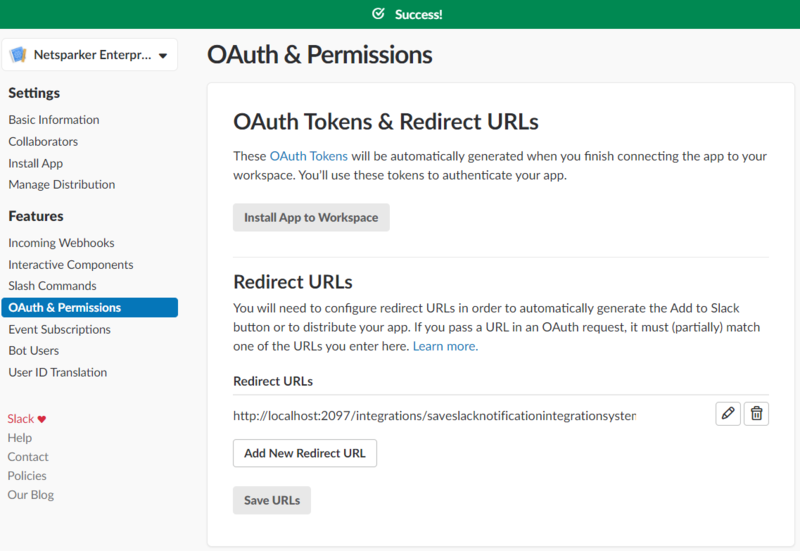 In the Slack app, in the OAuth & Permissions window, paste in your Redirect URL, and click Save URLs. From the main menu, click Integrations, then New Integration. In the Team Messaging Systems section, click Integrate Slack. The New Slack Integration window is displayed. You are redirected to the Slack authorization page. Click Authorize. Once you authorize Netsparker Enterprise on the selected channel, your integration will be configured. You can view this in the Integrations window. In the Issues window, you can send selected issues to the newly-configured Slack channel by clicking Send To and selecting the Slack integration from the dropdown. For further information on how to view and manage Integrations, open How to Integrate Netsparker Enterprise with an Issue Tracking System and scroll down to Manage Integration. Both types of integrations can be viewed and managed in the same place. 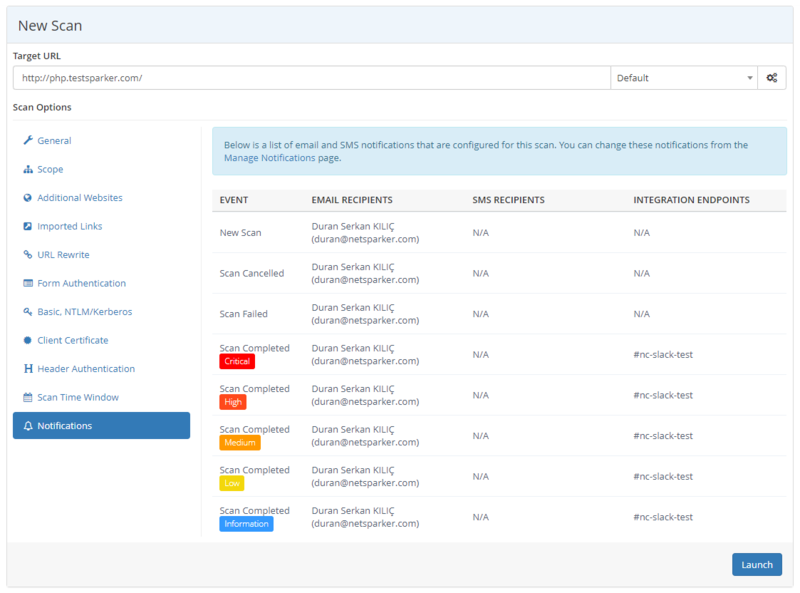 For further information on how to configure a Notification to report vulnerabilities to an issue tracking system, open How to Integrate Netsparker Enterprise with an Issue Tracking System and scroll down to Configuring a Notification to Report Vulnerabilities to an Issue Tracking System. Notifications for both types of integrations can be configured in the same place. For further information on how to view Notifications while creating a New Scan, open How to Integrate Netsparker Enterprise with an Issue Tracking System and scroll down to Viewing Notifications While Creating a Scan. Notifications for both types of integrations can be viewed in the same way. In our example, if any Critical, Important or Medium severity vulnerabilities are found during a scan, they will be recreated in the newly-created integration (#nc-slack-test)'.